It can be really lonely at the top. It’s often a place that very few can relate to. There’s always a challenge around the corner, and while there are moments to celebrate, the tough ones tend to leave the worst kinds of scars. But every business leader needs to be and stay motivated. So whether you’re facing a marketing challenge, a team morale issue, or just feel stagnant, we’ve gathered 10 inspiring business quotes for you to make your own. — Beth Comstock, Vice Chair, General Electric. One of the more common excuses for less than creative marketing is that the industry or product is just boring. The truth is that whether you’re selling insurance or chocolate, your customers have an emotional reservoir that you can tap into. Capturing the attention of your audience or making the sale will always come at some cost. As a leader, spend the time understanding what drives your target market to want a solution like yours and then delight them. Effective teams don’t just happen, they’re built. It takes time and conscious decision-making to find the right people that fit into your business’ culture and can do the job. Effective teams also need to be maintained. To get the best out of your team, take the time to develop deeper and more personable relationships with each team member. Doing so will give each member a personal attachment to the cause and create a stronger sense of loyalty to you. Remember, companies are not things, they are people that come together to do great things. Take care of your people and your company will thrive. — Mark Hunter, sales coach, consultant and author. If you’ve ever had to build a sales team from scratch, you’ll know that not everyone hired has the same level of experience or expertise. Some of your salespeople will be more seasoned than others. Some may not have found their confidence just yet. 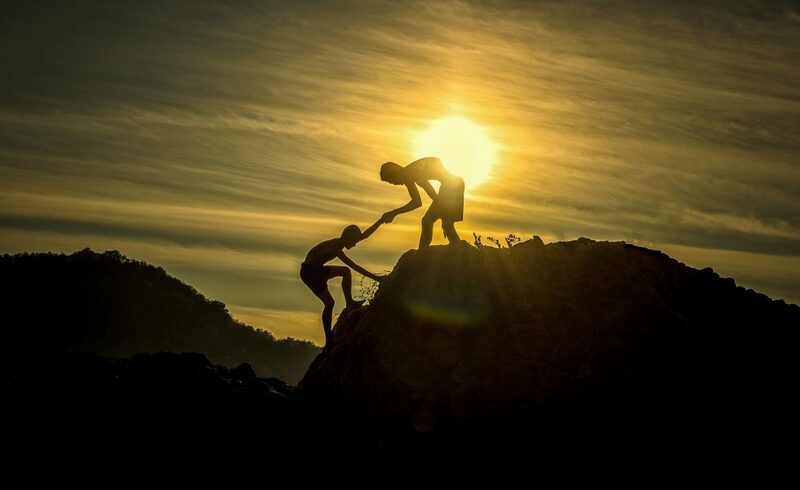 As a leader, your goal is help each member play to their immediate strengths and build their abilities to become efficient salespeople along the way. Train your team to spot the right opportunities, size them accurately and work them professionally. — Jimmy Dean, American country music singer, television host, actor, and businessman. Misfortune. Difficulty. Hardship. Adversity is a part of life and business. Smart leaders overcome adversity by being able to understand it. Whether it’s related to your people, your product or your customers, before you can act you should understand as much as you can about the situation you face. Make adversity a friend. It can teach you more about your boundaries than almost anything or anyone else in the world can. — Henry Ford, American industrialist, the founder of the Ford Motor Company. Man’s ability to produce creative solutions to problems is often referred to as the divine gift. When the going gets tough and honest counsel may be hard to find, knowing how to pivot is essential. Pivoting is all about regrouping and keeping your eye on the prize. Pivoting may not be the first idea that comes to mind, but being able to do so is how effective leaders overcome the most trying times of their careers and lives. — Sam Walton, founder of Walmart. There’s nothing more powerful than a team of people brought together by a single purpose and the desire to achieve truly great things. Most people, however, never get to experience this in their jobs. This is, in part, due to a lack of direction, but another factor often overlooked is community. Belonging is an integral part of what makes us human. To build a stronger, more effective business, focus on growing your people and building a stronger team with a sense of belonging and purpose. Make it your personal commitment to engage your employees about their ambitions and goals. As you cultivate an environment of community, you’ll begin to notice that your business takes care of itself because your people are driven. — Dr. Edward de Bono, physician, psychologist, author, inventor and consultant. Business continues to evolve, but solving people’s problems will always be the reason why customers pay for a product or service. Most businesses may get a number of things right. They may have a really great sales force and possibly great customer support, but if their product is shoddy, no amount of great customer support is going to keep a customer coming back. To stay ahead of your competition, make creative problem solving an integral part of your business. 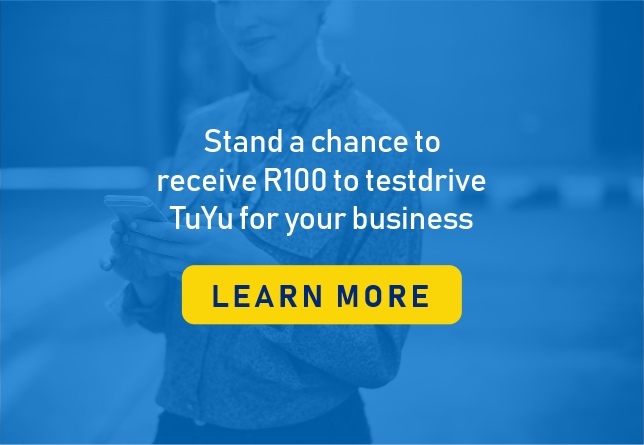 Your company’s ability to create new ways to add value to the lives of your customers is why they will continue to spend their money with you. Weave creative problem solving into your company culture because you can’t solve every problem alone. — Ellen DeGeneres, American comedian, television host, actress, writer, and producer. Failure is inevitable, however you chose to define it. Smart leaders know how to spot failure and how to respond to it. They also know when change is needed. Be it a change in perspective, a change in strategy or just a change of scenery. Make failure your personal trigger that gets you to refocus. Use moments of failure to look at your results from a different perspective. Use failure to find ways to get the best out of yourself, your team, and your business. Every business starts out as an idea. An idea to solve a problem. That idea turns into a marketable solution. People are hired to sell it and customers buy it. There is no luck. There is strategy. There is hard work. There is timing. There is action. Make opportunities happen in your business. Make them happen for your people and your customers alike. Do it because you can. — Stephen R. Covey, American educator, author, businessman, and keynote speaker. It’s easy to look back at a long day and feel unaccomplished. It’s also easier than you think to look back at the last five years and feel like you have nothing to show for them. If you feel that way, stop it! Take out a piece of paper and pen and list all of the things you’ve done or been through in the last five years, good and bad. Your list will show you that you have had experiences in the last five years. Whether or not you chose to actively pursue any of the experiences on your list, you’ve arrived at where you are today. The next five years are yours to do whatever you chose. Choose to be active. Choose to invest in yourself. Choose to grow. Get the best out of your employees by using the right incentives. 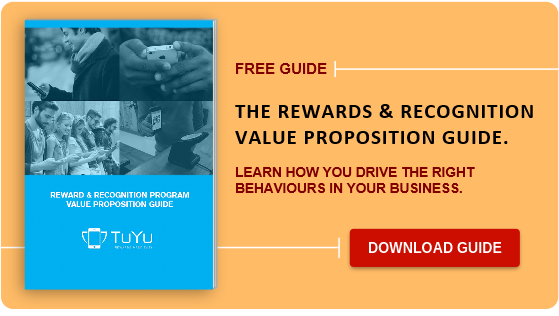 Download the TuYu Rewards and Recognition Value Proposition Guide and learn how we can help you influence the right employee behaviours in your business.